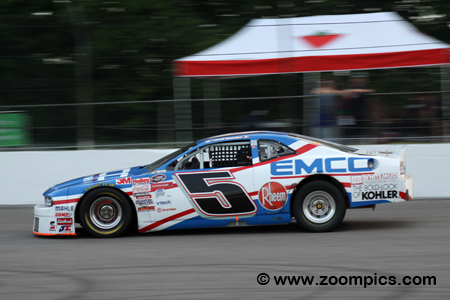 Round three of the 2012 NASCAR Canadian Tire Series was held at the Canadian Tire Motorsport Park oval. Drivers would compete on the half-mile track for two-hundred-laps in an event titled the Clarington 200. 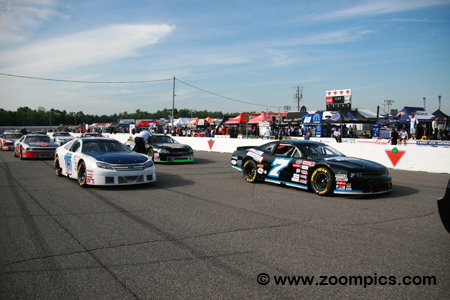 The starting grid for the Clarington 200 lines up on the front straight of the Canadian Tire Motorsport Park oval for round three of the 2012 NASCAR Canadian Tire season. On the pole is the No. 7 Dodge Challenger of Pete Shepherd, III. Sharing the outside of the front row with Shepherd is Steven Mathers in a Ford Fusion. A total of twenty-one competitors would start the contest. 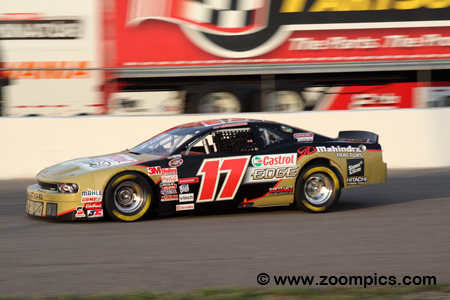 The 2010 NASCAR Canadian Tire Series champion, D.J. Kennington qualified fifth quickest. The team chose to make unauthorized changes to the No. 17 Dodge Challenger before the start of the race. As a result, Kennington was required to start at the rear of the field. The penalty must have been worth it as he led 137 of the 200-lap race for his first victory of the season. Kennington was now second in the title chase by one point. 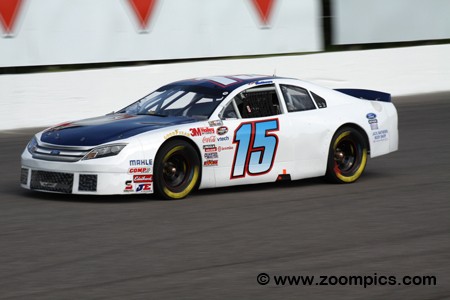 Pete Shepherd, III only raced in the NASCAR Canadian Tire Series on a part-time basis but that doesn’t make him any less competitive. Shepherd is always a threat to win and finished second at last year’s event. 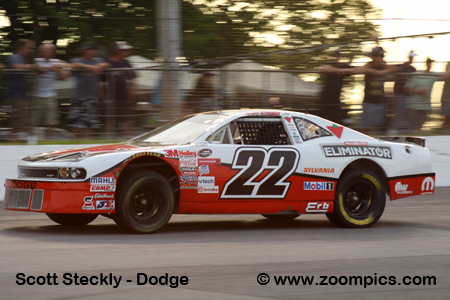 He put the National Exhaust Dodge Challenger on the pole for the Clarington 200. 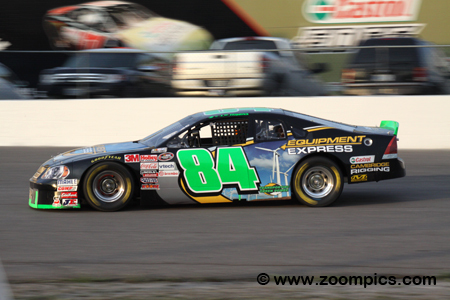 Shepherd led the first forty-one-laps but retired on lap-158 with an axle issue - he was classified in sixteenth place. Kerry Micks and Mark Dilley shared the No. 02 PartSource / Beyond Digital Imaging / Leland sponsored Ford Fusion. 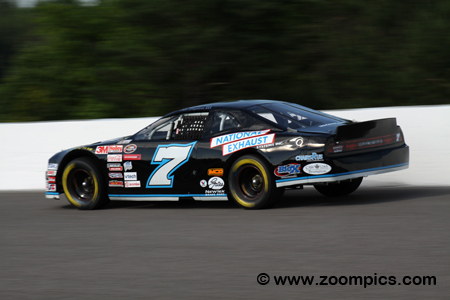 Micks ran the first two events (Canadian Tire Motorsport Park and Circuit ICAR) and now it was Dilley’s turn. He qualified seventh and during the contest, Dilley moved up the race order. At the checkered flag, he was in the runner-up spot. 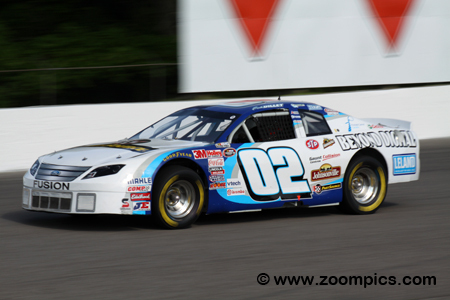 The Clarington 200 included many competitors running a limited schedule – one such driver was Steve Mathews. The driver from New Liskeard, Ontario qualified on the outside of the outside of the front row in the Bill Mathews Motors Ford Fusion. Mathews was unable to maintain the pace of the front runners and finished on the lead lap in the sixth position. Entering round three, J.R. Fitzpatrick was the point’s leader. Fitzpatrick was third fastest in qualifying and took the race lead on lap-42, he was in first place for the next fourteen circuits. During a pit-stop sequence, Fitzpatrick surrendered the lead. In the last half of the race, he chased D.J. Kennington and Mark Dilley – unable to pass either driver, he finished third. Fitzpatrick was still first in the title hunt but only by a single point. Jeff Lapcevich’s season was off to a good start after top-ten finishes at Canadian Tire Motorsport Park and Circuit ICAR – he was sixth in the championship standings. The No. 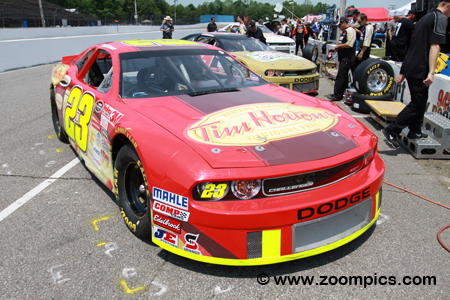 23 Tim Horton’s Dodge Challenger was eighth quickest in qualifying. A steady performance during the two-hundred-lap race netted Lapcevich a fifth-place finish. Noel Dowler drove the No. 5 Dodge Challenger with backing from EMCO-Kohler and Rheem. Dowler started at the back of the grid after recording the twentieth fastest time in a field of twenty-one cars. During the contest, a good race strategy and the misfortune of his fellow competitors allowed him to move up the lap chart. Dowler advanced ten positions to finish in the tenth place.